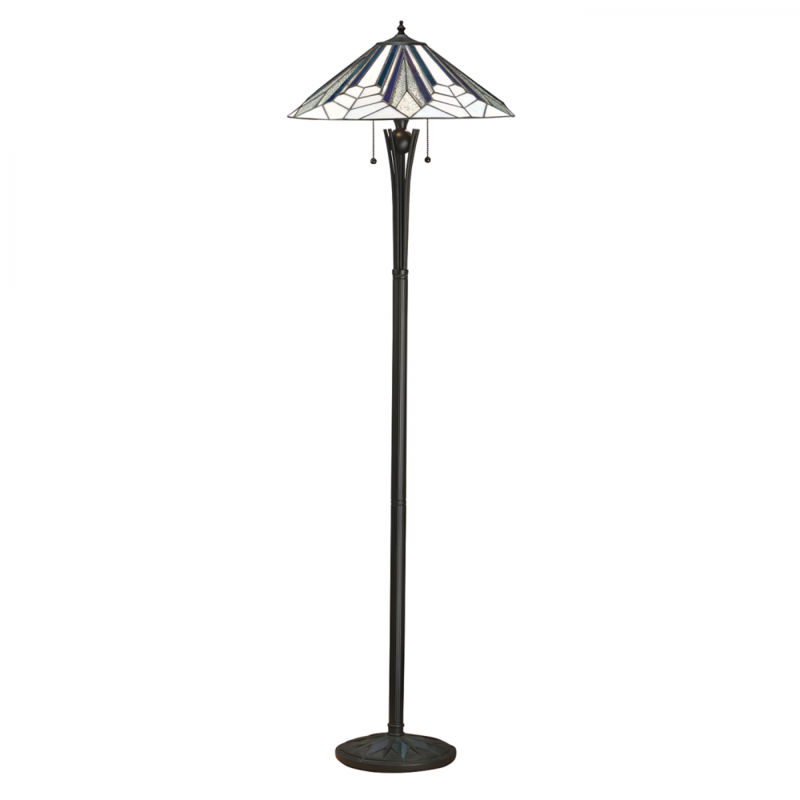 The Happy Homewares floor light uses dynamic lines in true art deco style. It uses bevelled and textured glass producing a stunning light effect. Compatible with LED lamps and matching items available. 156cm height x 48cm diameter.